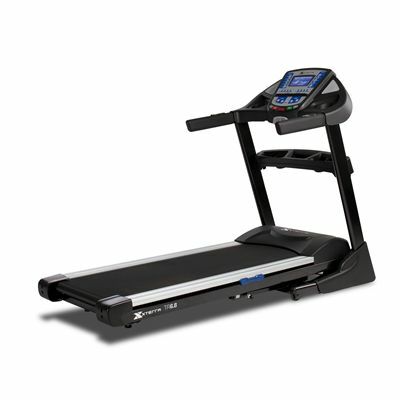 Manufactured by the same factory as the renowned Sole Fitness and the commercial Spirit Fitness range, the Xterra Trail Racer 6.8 is a heavy duty treadmill that delivers outstanding performance and reliability. 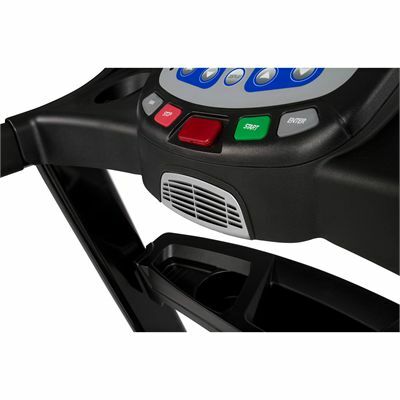 Thanks to its powerful 3.5 CHP commercial grade motor and high-quality internal components this superb treadmill delivers a top speed of 18km (11.18mph) and 15 levels of incline quietly and effortlessly. The console features a clear and easy-to-read, backlit, high contrast LCD display which conveys live training data feedback including speed, distance, pulse, calorie burn, incline and your pace over a 1/4 mile (0.4km) theoretical track. There are 12 pre-set programmes which are scalable allowing you to alter the difficulty of each programme but keep the same format of the workout. This means that over time you can stick to your favourite programme without outgrowing it. There are also 2 scalable user-defined programmes that give you the flexibility of creating and storing your own custom workouts. 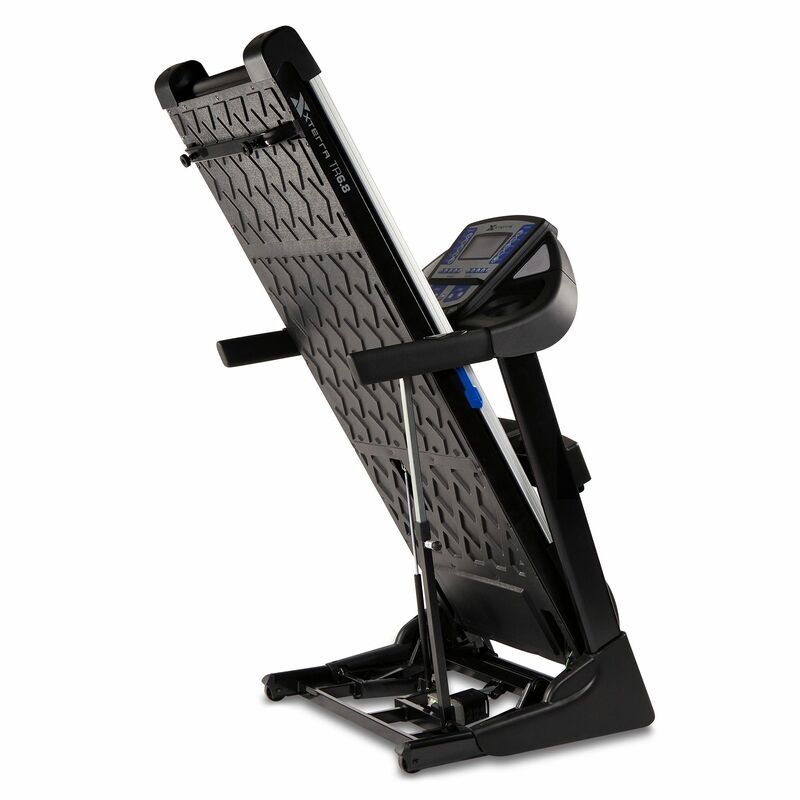 In addition there are 2 target heart rate programmes and the clever customisable 'Fitness' interval training programme. For proper interval training, simply enter your age and weight, then select max speed and incline of the programme and choose how many intervals you would like, the duration of each interval and the length of your desired recovery time. The programme will then guide you through a series of runs, pausing to let you dismount the treadmill to carry out your dumbbell reps (or other chosen, off treadmill exercise), recover and then re-mount the treadmill to continue your run. This function takes treadmill running to a new level and integrates your run into your overall fitness programme - is short, this is boot camp in your living room! 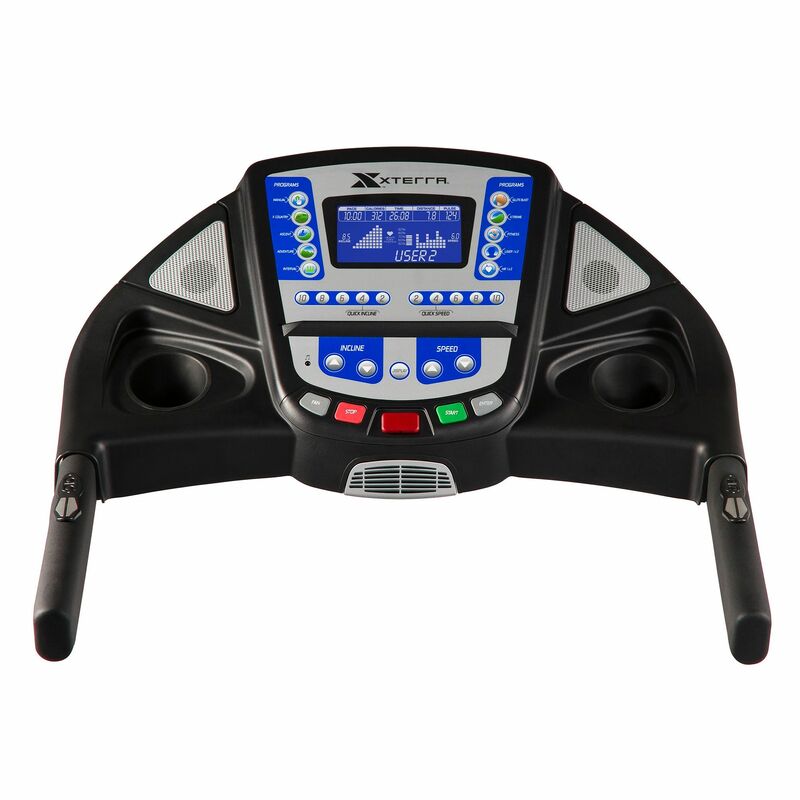 The Xterra 6.8 is great for everyone from beginner to serious runners and fitness fanatics. Bought this after having moved to the country and not wanting to run country lanes after dark. Good machine which seems to be more than up to the task of taking a bit of a hammering from a rather heavy footed runner. 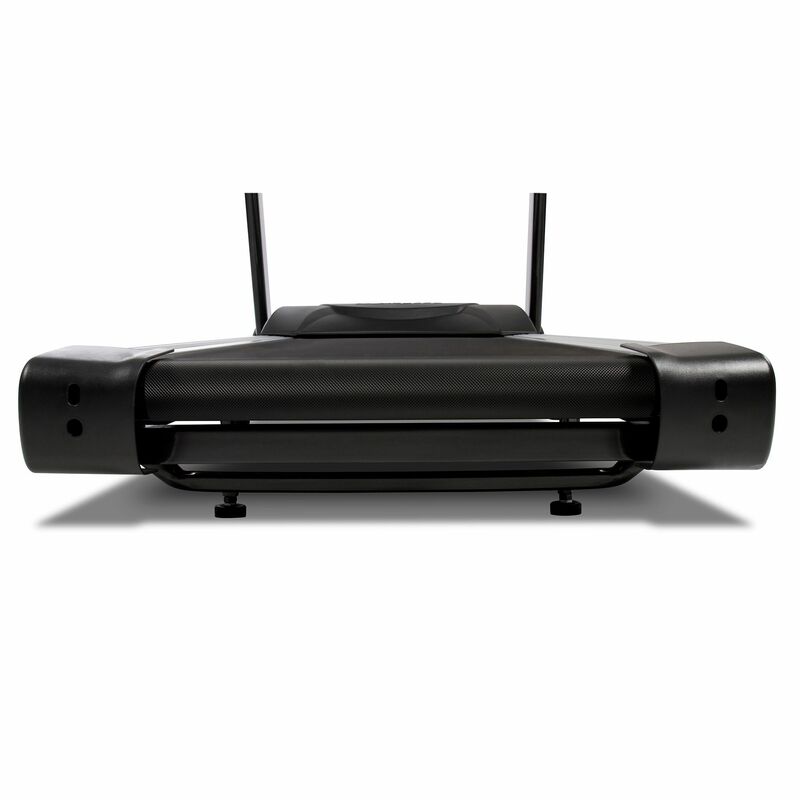 Runs smoothly, seems to be well made and plenty of room for my stride length (not the case on most cheaper running machines!) I'm particularly enjoying the use of the variable incline facility for shorter tougher training sessions(!) It was easy to set up and to move, once assembled, although assembly is realistically a two man job. Glad I took the advice to collapse the box around the machine for assembly and not try and lift it out, but it wheeled off easily once built. So far, I am very pleased with the purchase. Wanted a running machine and not a gumball machine with flashing lights that sings and makes the tea which a lot of treadmills seem to be these days. This does what it says on the tin and looks like it'll outlive me. No fuss and simple to use. If you're looking for a running machine that lets you run then I'd highly recommend this one. 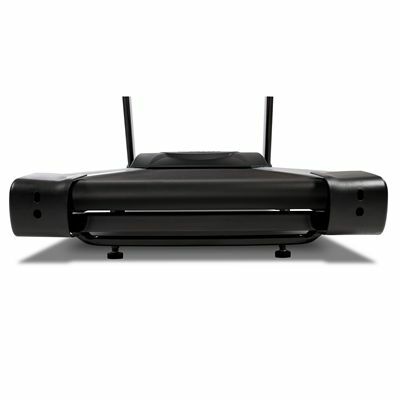 i LOVE this treadmill. 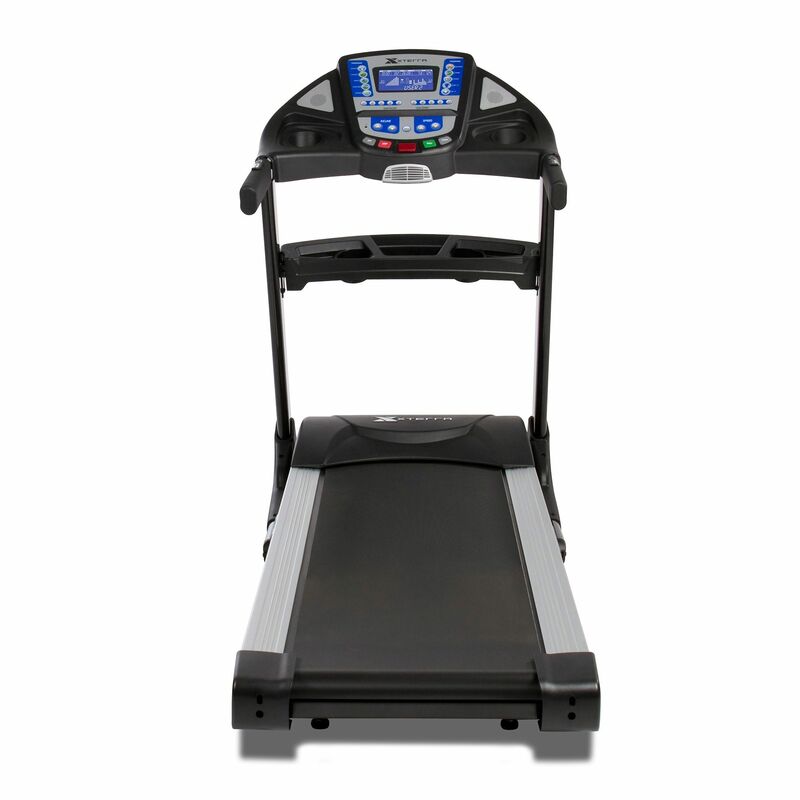 being a bootcamp fanatic I love circuit training and this treadmill has a special program that allows me to alternate between runs and on the point exercises. it's brilliant. big thanks to the guys at sweatband for telling me about this feature. 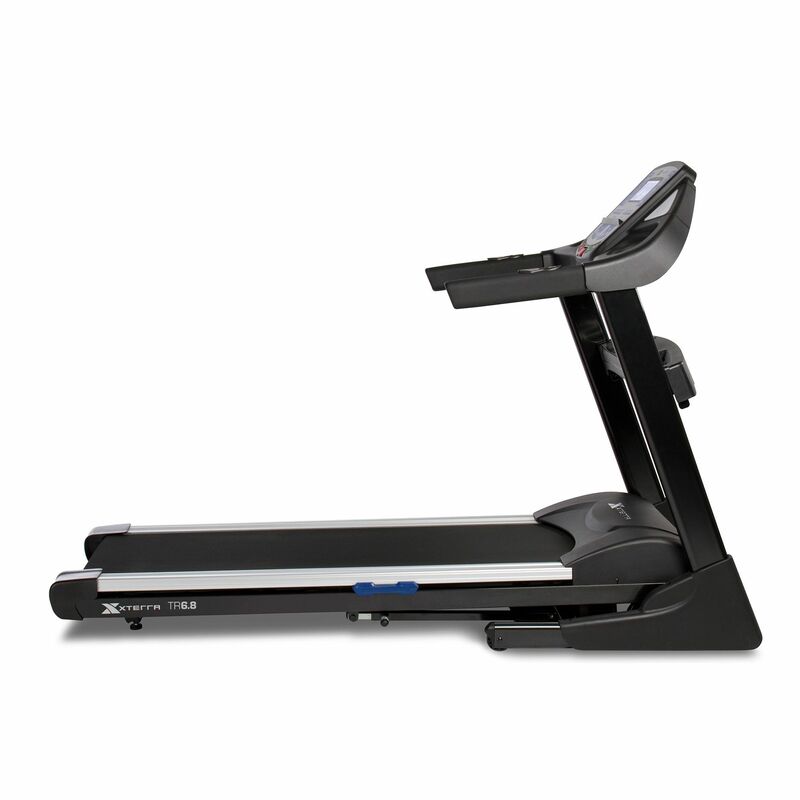 couldn't be happier and would highly recommend this treadmill even if you don't do circuit training. it's big and obviously built to take a load of abuse. perfect! for submitting product review about Xterra Trail Racer 6.8 Treadmill.